Chipmunks are rodents almost similar to the squirrels but they have distinctive black and white stripes on their brown far. Just like the other rodents, they are very destructive and it may sometimes be necessary to conduct a complete chipmunk control exercise in order to get rid of all of them. Luckily enough, we have an experienced team with all the skills and the methodologies required for safe and humane removal of chipmunks. Amongst our arsenal of the recommended chipmunk removal methods are live trappings, physical capture, relocation and shooting of the animals. The use of which depends on specific conditions and circumstances as permitted by the law. Unlike other rodents of similar characteristics, chipmunks are very destructive. They won’t attack items or structures indoors like rats but the amount of damage they can cause to the outdoor is enough to result into huge financial losses. Their target areas of destruction include places like the patios, stairs, decks and the foundations. They have the habit of eating away such structure thus compromising their structural integrity. When this happens, the structures can become weak enough and crumble under weight resulting into injuries to those who are around. The chipmunk is also known to cause a lot of damage to the gardens. They are fond of destroying garden plants such as seeds, vegetables, fruits and flower bulbs. This will only make the gardens degenerate and result into losses considering the time, effort and other resources that were used to maintain it. Due to these reasons, there is no need to entertain these tiny destructive rodents around the home. We have efficient methods of ending chipmunk infestations in your home. We have been doing this for over twenty years and we are equipped with legally approved means of chipmunk removal. We consider keenly humane chipmunk removal as we wish not to kill or cause them any injuries in the process. 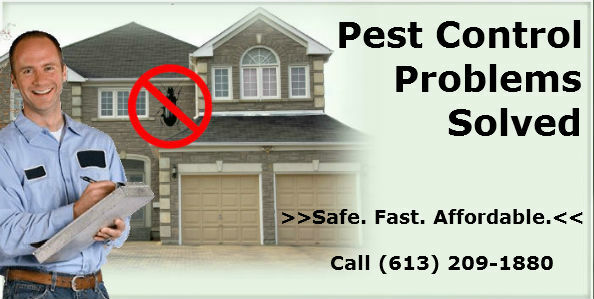 Contact Pest Control Ottawa today in case you are facing a lot of problems which chipmunks in your home. Our service area includes Ottawa, ON and the surrounding areas. 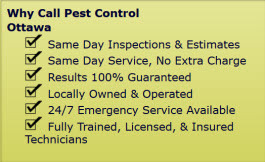 Chipmunk Removal Services in Ottawa, ON call (613) 209-1880.